Gov. Kate Brown and her husband made more than $152,000 and paid about $36,000 in state and federal taxes. SALEM – Gov. Kate Brown and her husband, Dan Little, received more than $152,000 in income and paid more than $15,000 in state taxes and more than $21,000 in federal taxes in 2017, according the couple's tax return. Brown released their tax returns for 2015-2017 as part of her reelection campaign for a second term in office. She is expected to face off with one of three Republicans who are competing in the May 15 primary: Rep. Knute Buehler, an orthopedic surgeon from Bend, retired Naval aviator Greg Wooldridge of Portland and Bend businessman Sam Carpenter. 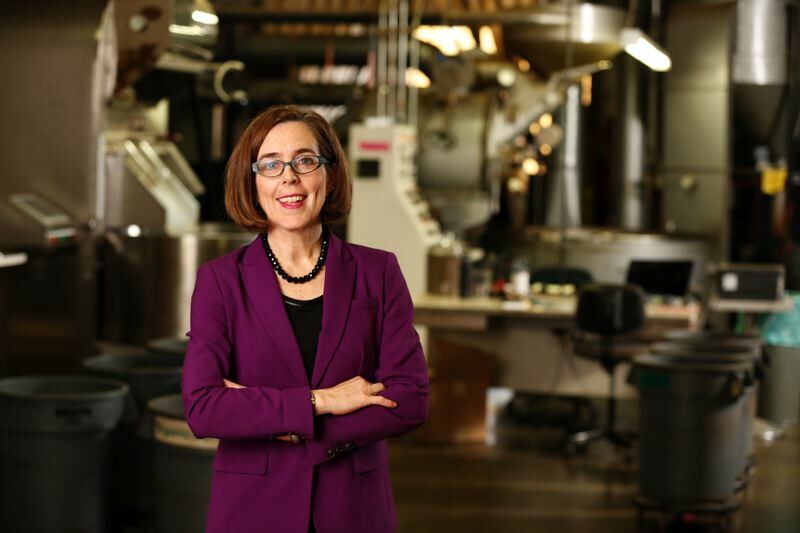 "Oregon voters need to know where their governor stands on issues, and they deserve to know that their governor is playing by the rules and paying their fair share," Brown said in a statement. Both Wooldridge and Carpenter declined a request from the Pamplin/EO Capital Bureau for a copy of their 2017 tax returns. Buehler will consider releasing his tax returns after the primary election, said his campaign manager, Rebecca Tweed. Some information about the GOP candidates' finances is available in their statement of economic interest, which Buehler and Wooldridge have filed with the Oregon Government Ethics Commission. All of the candidates are required to file the statements by May 5, said Ron Bersin, the commission's executive director. As of early afternoon Thursday, May 3, Carpenter hadn't filed his, according to the commission's electronic filing system. The statements identify politicians' businesses, sources of income, property holdings and investments, without revealing earnings and profits. Brown earned about $110,195 from wages and a $1,000 monthly stipend for expenses related to her position as governor, while her husband received nearly $41,000 in federal pension payments, according to their most recent federal tax return. Little, a former natural resources biologist, retired from the U.S. Forest Service in 2015, after more than 30 years with the federal agency. The couple donated about $1,600 to charity. They live between the governor's residence at Mahonia Hall in Salem and the home that they own in Southeast Portland. Their home in Portland has a real market value of $494,850, according to Multnomah County property records. Her statement of economic interest shows that her salary and stipend from her job as governor and Little's pension largely are the couple's sources of income. They have no interest in a business or investments of more than $1,000 in any business, according to her statements of economic interest. Buehler and his wife, Patty Buehler, an ophthalmic surgeon, receive income from 10 different sources, according to Knute Buehler's statement of economic interest. That includes income from performing medical services at The Center, InFocus, Buehler Research and Design, OPIA, Deschutes Surgicenter and Bend Surgicenter and real estate income from Argos Properties, Deschutes Medical Buildings, Bend Surgical Partners and Deschutes Property Holdings. They have an interest in 13 businesses, including medical, real estate and investment companies, and in six properties, four of which are commercial and two, residential. The couple lives at a house in Bend with a real market value of nearly $1 million, according to Deschutes County property records. The couple has investments of $1,000 or more in 74 businesses, including Nike, Nordstrom, oil companies, tech companies and others. Wooldridge reported in his statement that he earns income from public speaking engagements, Social Security and retirement benefits from the U.S. Department of Defense and FedEx. He reported no business investments of more than $1,000. Brown, former Oregon Secretary of State, succeeded to the governor's office in February 2015 when former Gov. John Kitzhaber resigned amid an influence-peddling scandal. She was elected in November 2016, and if she wins reelection in 2018, it will be her final term.